Water rises to it’s own level. I used to hear my dad say that. He felt that people gravitate to other people like themselves. Trouble finds trouble, kindness finds kindness. But is it true? Being little more than a speck in sprawling universe of the internet makes it unlikely that we’d find each other. We’re each just one of gazillions of stars. How is it that we reduce such an immense population of internet users to find each other? Even if you said that people who share common interests like motorcycling don’t have to look very hard. Is that true? I mean, click the hashtag motorcycles on Instagram. There are 100s of thousands of potential connections. What is it that makes another anonymous person catch your eye enough for you to follow them? And then once you do, do you often strike up a friendship or develop a deep interest in that person? For me, that would be an exception. With blogging, you don’t really even have the same hashtag-ability to cluster everyone together. Blogs are a bit more passive with their reach. They often have to piggyback on your other social connections to get them in front of people. And yet, we find each other. Given the instant gratification that something like Instagram can provide, why do some people want to take it further and keep a blog? And who are the people that are seeking something more than just a photo that read them? Some blog authors become “friends” in my mind. The flow of their language, the depth of their introspection, their vulnerability, and their triumphs become something… personal? to me, too. I become invested in what they’re up to. In my mind some blog authors become perfect people and I admire them. I miss them when they go quiet or wonder about them at unusual times. For example, riding along I’ll see a scene and think – that looks like something X would photograph. But, I suppose that is just an impression of what I think they’re like filtered through the prism of my own thoughts. But the fact that this person I’ve never met crosses my mind while I’m moving through the world says they are important to me. How can you be friends with someone you’ve never met? But, it seems to happen. When I read a book sometimes the main character has a voice and I imagine their personality. Unfortunately when I read Tim Dorsey, Serge A. Storms has the voice of Mr. Krabs from Spongebob. Your voice I’ve heard so I pay more attention to what you say and how you say it. Yes, it does happen. Exactly as you described. Deep thoughts for a Friday. I have friends around the world that I have met through blogs, YouTube, Fartbook, Instagram and interviews I’ve done….. and I’ve never met any of them. Yet, if I call, message or email them, they are genuinely happy to hear from me. 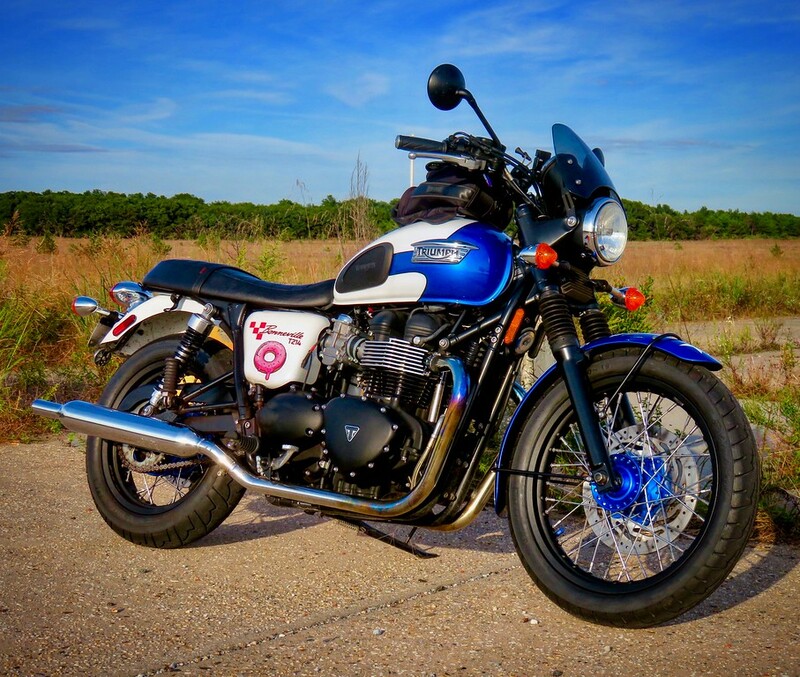 Common interest in motorcycles proves that motorcycle people make the best friends. Thanks for noticing friend. Written communication makes this possible. In writing, we reveal the operation of our minds and some on the same wavelength find resonance. It’s why we feel so strongly that we “know” someone we’ve never met. I’m sure many of your readers feel that way about you. Your writing here conveys so much of your personality. I started my blog to share information with others but it became something I write for myself. A journal. Prior to this the years seem to have been lost.